I always start my grant research with my board. They may be helpful, or not, but it never hurts to ask. Some of your board members may be plugged in to grant opportunities through foundations or corporations in the community, not to mention family foundations that their social contacts and business colleagues may control. Go to a board meeting and let your board members know that you are conducting grant research to determine which foundations to apply to for grants for the coming year. Let them know that you have limited time and will only be writing grants to foundations that closely match your project needs for the coming year. Ask your board members if they know of any family foundations, corporate foundations, or other grantmakers who might fund work like yours, and if they would be willing to make an introduction to someone at that organization. Don’t spend a ton of time on this, and don’t write a grant to an organization just because a board member introduces you to a foundation. Instead, consider this part of the “prospecting” process and only add the grant to your prospect list after you determine that the foundation is a good fit for your non-profit. This is another quick and easy step that I recommend to grant seekers. Spend an hour playing around on Google, searching for foundations that fund non-profits like yours. You can use Google to find not only foundation websites, but also lists of grants on non-profit websites (where the non-profit lists all the gifts that have received that year). Most major metropolitan areas, and many other locales have regional associations of grantmakers. Sometimes these organizations are comprised of funders across all mission areas, and other times they are composed of funders in a specific area, like the arts. These organizations can be a big help as you search for new grant opportunities. My suggestion is that you reach out to these organizations first and foremost to get a list of their membership and grant guidelines for each member, if available. Second, see if the grantmakers’ organization hosts any “meet the funders” days, or allows local non-profits to make presentations to the group. Some cities, counties, and even states maintain (either through a government agency or a local community foundation) a directory of organizations that make grants to non-profits in the area. If your area has an organization that maintains such a list, use it to research grant opportunities for your non-profit. The Foundation Center is an amazing resource for non-profits seeking grant funding. The Center maintains an online database and, for a small fee (around $40 per month for the most basic level of service) will allow you online access to their online database of funders. The Foundation Center’s Foundation Directory Online is completely searchable by multiple criteria, and is one of the best sources of grant information. If your non-profit expects to raise $25,000 or more from grants this year, than the $40 per month fee for the online directory is well worth the price. If you can’t afford to purchase access, the Foundation Center works with a number of Regional Foundation Centers which provide free access to the Online Directory during regular business hours. For example, the Free Library of Philadelphia operates a Regional Foundation Center at its main branch in Center City, Philadelphia – See if a Regional Foundation Center exists in your area. You can use this free access to research prospective grants and take the research back to your office to write your grant proposals. If you are seeking grants from the federal government in the United States, you can use The Catalog of Federal Domestic Assistance and Grants.Gov to research available grant programs, view guidelines, and in many cases, submit online applications for grant funding. Many state governments offer similar online resources, as do national governments outside of the United States. As you research grant opportunities, be sure to only apply for grants that are a good fit for your non-profit. Far too many organizations waste time by applying for grants that do not match up with the organization’s location, mission area, or programs. 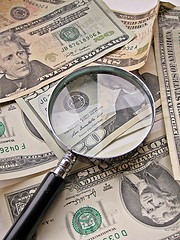 For more great information on winning grants, read the Guide to Raising Money from Foundations.